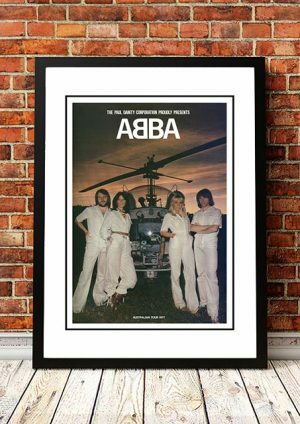 ABBA Posters - Buy Tour, Concert and Band Posters Online! The most commercially successful pop group of the 1970s, the origins of the Swedish superstars ABBA dated back to 1966, when keyboardist and vocalist Benny Andersson, a onetime member of the popular beat outfit the Hep Stars, first teamed with guitarist and vocalist Bjorn Ulvaeus, the leader of the folk-rock unit the Hootenanny Singers. The two performers began composing songs together and handling session and production work for Polar Music/Union Songs, a publishing company owned by Stig Anderson, himself a prolific songwriter throughout the 1950s and 1960s. 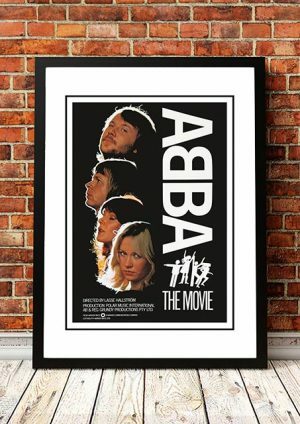 At the same time, both Andersson and Ulvaeus worked on projects with their respective girlfriends: Ulvaeus had become involved with vocalist Agnetha Faltskog, a performer with a recent number one Swedish hit, “I Was So in Love,” under her belt, while Andersson began seeing Anni-Frid Lyngstad, a one-time jazz singer who rose to fame by winning a national talent contest. 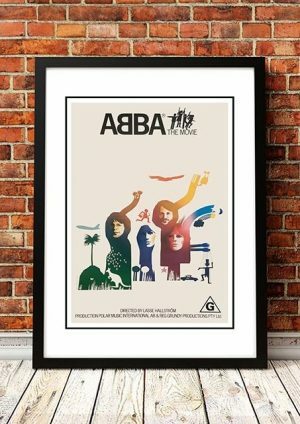 We stock some awesome ABBA Band Concert Posters.